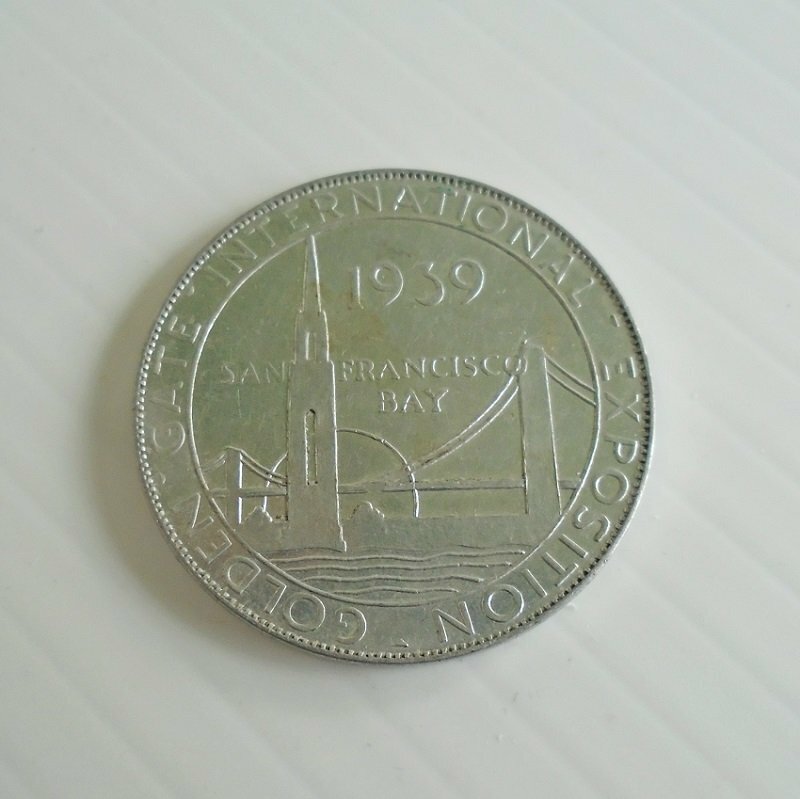 1939 San Francisco Golden Gate International Exposition token. Offered by Union Pacific Railroad. 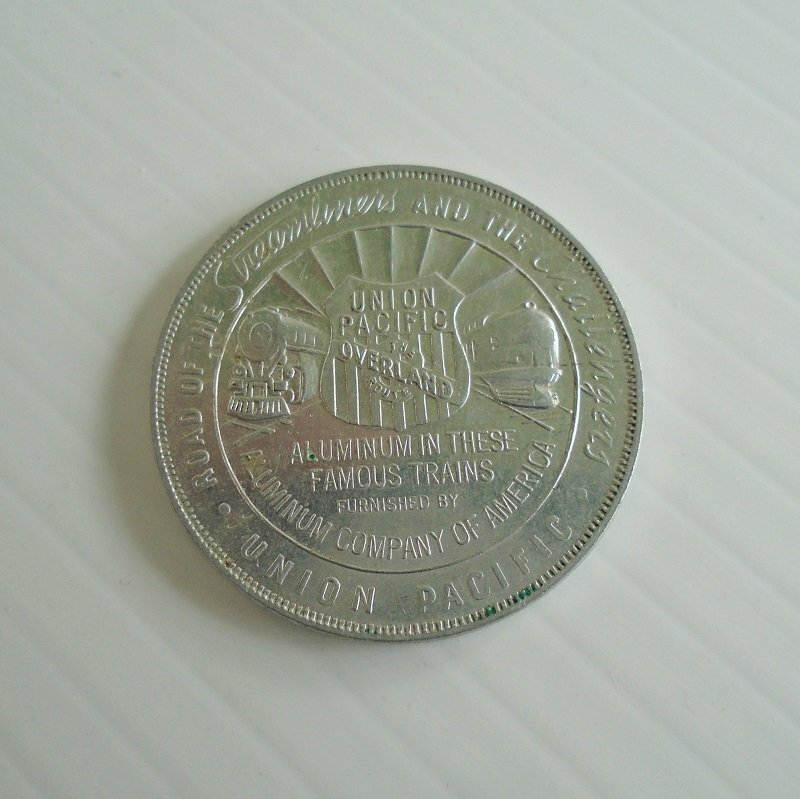 This token coin was a souvenir of the 1939 San Francisco Golden Gate International Exposition. It is aluminum and was offered by the Aluminum Company of America. It measures 1.25 inches. The front features the Golden Gate Bridge and a building that may be the Railroad Terminal. The back features the logo of Union Pacific with a statement from the Aluminum Company of America about how they furnished the aluminum used in the Streamliner Overland and the Challenger trains. Both trains are shown in raised relief design. As you can see from my photos, the coin is in very good condition with little if any wear. Although small, when mailed I will wrap it for protection and by doing so it will exceed the postal limit of 1/4 inch thickness and can not be mailed in a standard envelope. It will have to mail out as a First Class Mail parcel. Buyer to pay $4.40 delivery charges.